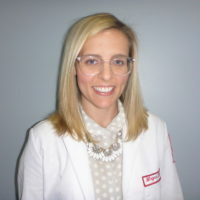 Megan Healy, MD FAAEM, holds a faculty appointment of Assistant Professor of Emergency Medicine at Lewis Katz School of Medicine at Temple University. A Philadelphia native, she completed medical school at Drexel University College of Medicine in 2010 and residency at Temple in 2013. She currently runs Temple EM residency didactics and serves on the medical school admissions committee. Megan serves on the Board of Directors of the American Academy of Emergency Medicine (AAEM). Her academic interests include headaches/SAH, OB emergencies, sepsis, and gender differences in emergency care. Other passions include advocacy for patients and for fair workplace practices in our specialty, medical education and leadership for women in academic medicine.